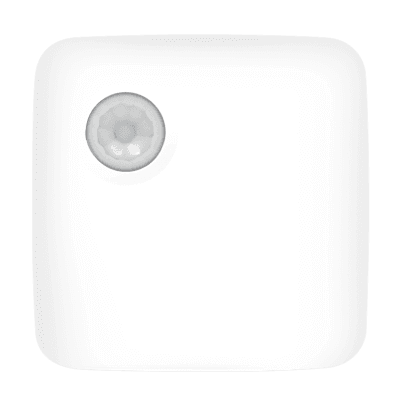 Arlo SmartThings integration is one of the camera’s advanced features setting it apart from competitors. Samsung SmartThings sensors can work with your Arlo security cameras for automating and securing your home. Using SmartThings sensors with your Arlo home monitoring service can serve as a replacement for a traditional home security system. 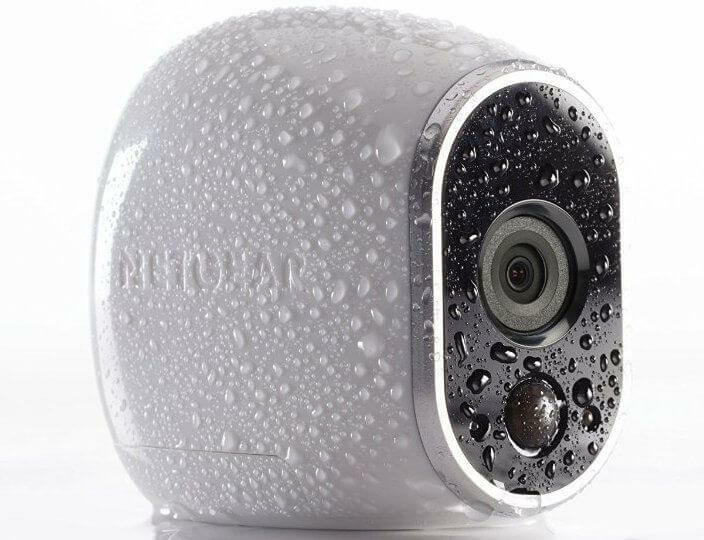 NETGEAR currently offers five different Arlo security cameras, each with unique functionality and use cases. If you don’t look carefully, you will miss the key differences between the cameras. Arlo designed these three cameras for outdoor use. The large Arlo Go on the left has 3G capabilities. The device is still in production, so it doesn’t work with SmartThings yet. The Arlo Pro in the center has rechargeable batteries and a wide field of view (read our review here). Traditional Arlo wire-free does not come with rechargeable batteries but is still for sale as a waterproof budget option. These cameras are part of the Arlo Q series. 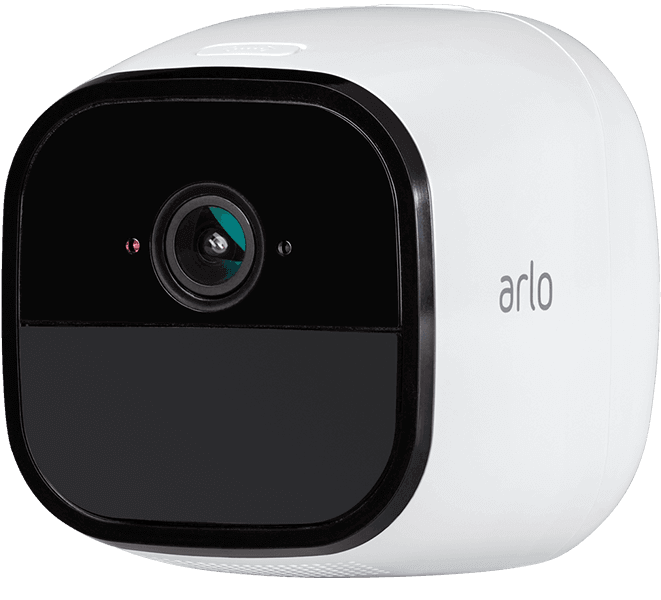 The only differences are that the Arlo Q Plus has additional features like Power over Ethernet and an SD card slot. 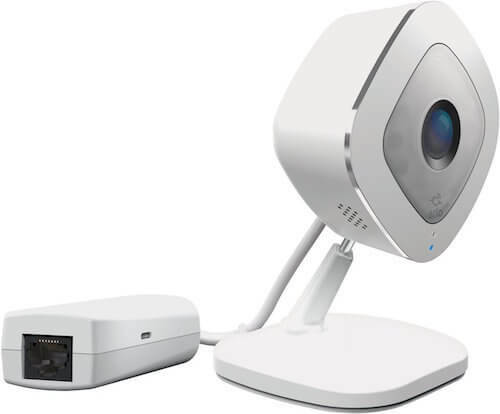 Arlo Q Plus is the camera on the right with the attached PoE adapter. Update: As of late April 2017, nearly all of the Arlo family all works with SmartThings. SmartThings doesn’t list the Arlo Go on their website, but its integration may be added after it ships to customers. Now that you have an overview of Arlo’s security cameras, it’s time to take a look at how Arlo SmartThings integration works to protect and automate your home using Arlo with SmartThings sensors. Samsung SmartThings uses its SmartThings hub to communicate with your entire smart home. 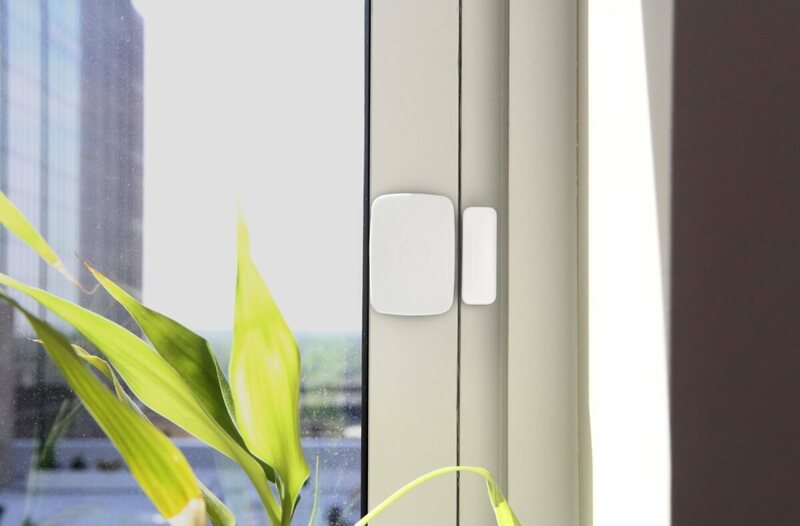 This hub integrates other SmartThings devices like sensors and cameras with third-party smart home devices, allowing users to control all of their home in one app. This is where Arlo comes in. For example, let’s say you leave for the day and need to secure your home. If a SmartThings sensor sees motion, it will alert Arlo to begin recording and notify you on your smartphone. Both the multipurpose and motion sensors are great for arming your home with Arlo SmartThings integration. Multipurpose sensors come in two pieces. Just attach the sensors to a door and its frame or a cupboard and its drawer. Then you can arm the devices and receive alerts when the sensors come apart (showing that someone opened your door or drawer). 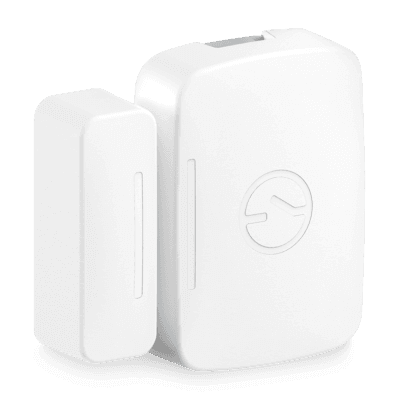 SmartThings motion sensors detect when there is movement. If you are at work and something is detected, SmartThings will alert you. Additionally, if it detects no motion for a certain period of time, SmartThings can trigger your thermostat to decrease its temperature, your lights to turn off, and your front door to lock. Both of these sensors (in addition to the other SmartThings sensors) can work together with Arlo to make your home more secure. 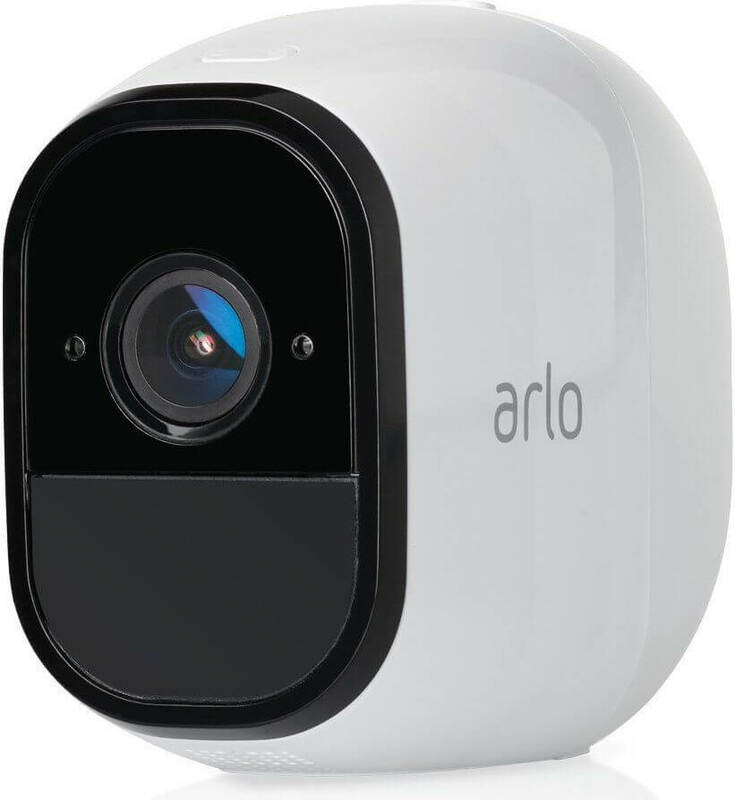 By connecting your SmartThings sensors with Arlo security cameras, you can create a full security system, without paying monthly fees. To start the setup process, make sure you name your cameras and disarm them. You will use SmartThings to control your Arlo cameras, but it’s easier if you can quickly identify the name and already have disarmed the cameras. Arlo also recommends turning off schedule mode, geofencing, and IFTTT recipes to enable SmartThings. Motion sensitivity defaults to 80, so you may need to adjust based on your home’s lighting and your personal preferences. Make this adjustment within the Arlo app before connecting to SmartThings. Once that’s taken care of, you are ready to enable Arlo in the SmartThings system. 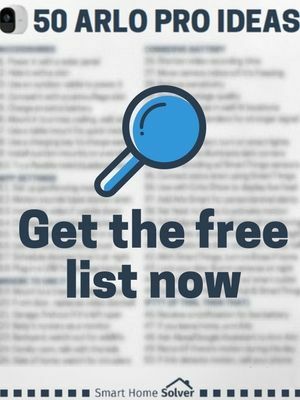 Open the SmartThings app and add devices by going to Marketplace, Things, Safety and Security, Cameras, and then selecting Arlo. After entering your Arlo login credentials, just choose the Arlo cameras you want to integrate into SmartThings. Once connected, use the SmartThings app to control your security camera for full Arlo SmartThings integration. You will no longer use the Arlo app because if you set rules within the Arlo app it will interfere with SmartThings. If a sensor detects motion, Arlo begins recording. This feature can be very beneficial for home security since Arlo typically starts recording when motion occurs within the camera’s frame. However, this can mean it loses some footage in the gap from noticing movement to recording and notifying you. Sensors can shorten this gap by triggering Arlo to begin recording when they detect motion. Even if the person is not within your camera’s frame, it will begin recording early enough to capture all of the action. Receiving a notification more quickly can help you scare away intruders before damage occurs. If someone opens multipurpose sensors, Arlo starts recording. Imagine how powerful this rule could be for your smart home. 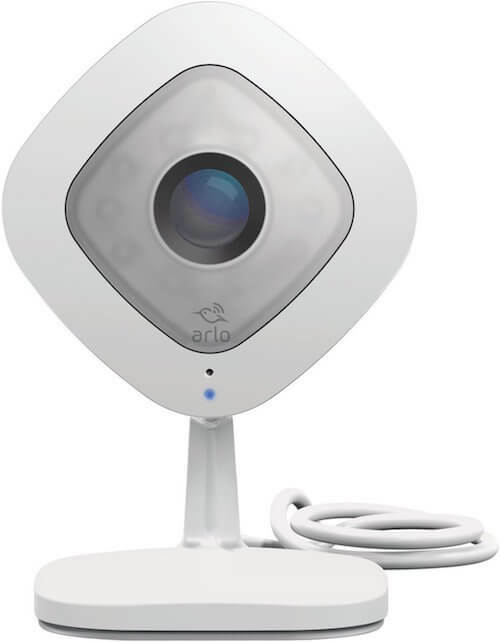 Right when your front door, garage door, windows, or other areas are opened, get a notification and begin recording on Arlo. Perfect for your teenager sneaking in past curfew or monitoring for break-ins. You can also monitor if drawers with valuables are tampered with, and have video footage to show the culprit. If arrival sensors change location, Arlo begins recording. Put an Arrival sensor on your dog’s collar. If they leave your home, you can receive a notification and start recording on your outdoor Arlo Pro to see which direction they headed. When Arlo detects motion, trigger your lights to turn on. This is where Samsung SmartThings shines. It’s excellent at helping smart home devices communicate with one another. When your sensors or Arlo see that you are walking in the door late at night, trigger your Arlo cameras to turn LIFX or Philips Hue lights to the perfect color and temperature. After you enable these rules, you will see “SmartThings mode” displayed in your Arlo app. Make sure your Arlo cameras remain in SmartThings mode to ensure your system continues following the SmartThings rules you specified. You may also want to turn off push notifications in the Arlo app to make sure you don’t receive notifications from both apps. Of course, SmartThings works with much more than just Arlo. For example, install an Aeon Labs siren to scare off intruders with a loud siren. Set a rule that when motion is detected, the siren goes off and Arlo begins recording simultaneously. This is ideal for scaring away intruders at all times, since you don’t always have your phone on you to receive notifications. The siren warns intruders that you are watching and they better leave quickly. All of these devices work together through the SmartThings hub to help you build a complete home automation system without monthly fees. Instead of paying $60+ per month for a full home automation set up, users who go this DIY route can access seven days of free cloud storage with Arlo (for up to 5 cameras). 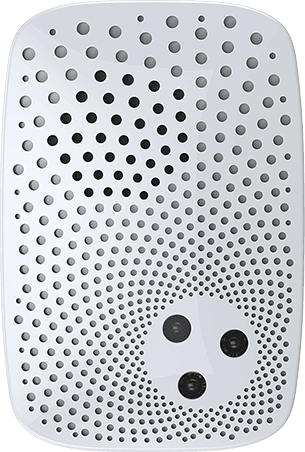 You can even expand that with local storage in the Arlo base stations or inexpensive paid plans. 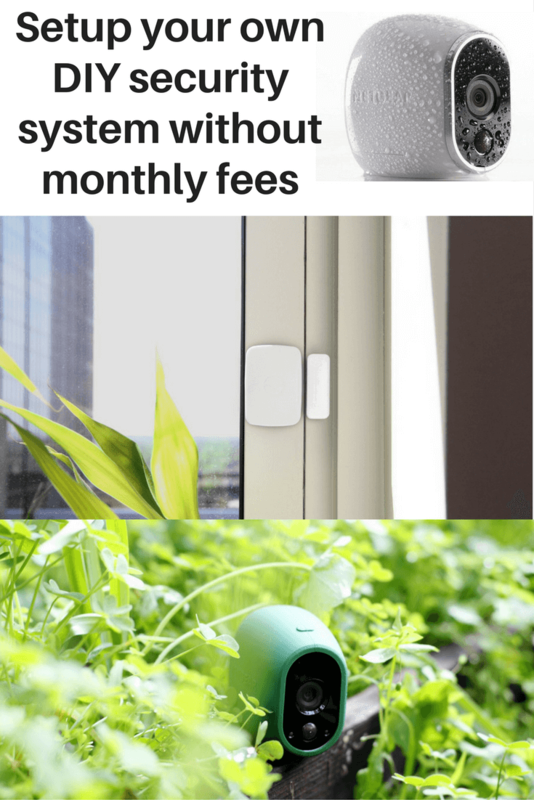 While it may seem expensive to purchase an Arlo base station, cameras, and SmartThings to start with, the savings as an alternative to a monitored system means that the technology pays for itself very quickly, without tying you into eternal monthly payments. Have you implemented Arlo SmartThings integration into your smart home? What are some of your ideas for automating your home using Arlo and SmartThings together? I have been running Iris for several years and now I have to replace it. I purchased a Samsung Smartthings hub and would like to use as many of the old Iris components to save a few bucks. I also would like to integrate an existing Arlo system.